Pablo Lucio Vasquez, who admitted to slitting the throat of a 12-year-old boy and beating him to death before stealing a ring and necklace from the body 18 years ago, was executed Wednesday evening. Twelve-year-old David Cardenas was still alive when his killer drank the blood from his wounds, according to a videotaped confession Pablo Lucio Vasquez later gave police. After Cardenas' April 1998 murder, his body was mutilated and buried in a shallow grave in Donna, Texas. Vasquez, who admitted slitting Cardenas’ throat and beating him to death before stealing a ring and chain from the body, was executed Wednesday for the crime. He was 38. “I started hearing voices in my head, and I told my cousin that somebody was telling me to kill him,” Vasquez said in his confession. After his final appeals were denied by the U.S. Supreme Court on Wednesday afternoon, Vasquez was strapped to a gurney in the Huntsville Unit shortly after 6 p.m. He was injected with a lethal dose of pentobarbital and pronounced dead at 6:35 p.m. In his final statement, he thanked his family and apologized to Cardenas' family. "This is the only way that I can be forgiven," he said from the execution chamber. "You got your justice right here." In his last appeal, Vasquez claimed he wasn't given a fair trial because the court “repeatedly excused prospective jurors with sympathies against the death penalty but still qualified to serve,” according to the petition originally filed with the state. The Texas Court of Criminal Appeals had already rejected his claim. In previous unsuccessful appeals, Vasquez's attorneys argued that the murder shouldn't have been considered a capital crime because Vasquez didn't kill Cardenas intending to rob him, according to court documents. They have also claimed that his trial counsel was ineffective for not using an insanity defense. Sometime in the early morning of April 18, 1998, Cardenas, Vasquez, then 20, and Vasquez’s cousin, 15-year-old Andres Chapa, left a party together. Vasquez had been drinking, smoking marijuana and snorting cocaine, according to his confession. When they got to the house where Chapa’s mother was staying, Vasquez said he “blacked out” and started hearing voices telling him to kill Cardenas. He struck the boy several times in the back of the head with a pipe. Vasquez then slit Cardenas’ throat while Chapa began to prepare a grave, Vasquez said. Vasquez put Cardenas back down, and Chapa hit the boy in the face with a shovel five or six times, according to Vasqeuz’s statement. The two dug a small hole, placed Cardenas in it, and covered him with grass and pieces of wood. When police found Cardenas’ body on April 22, he was scalped and missing a foot, arm and part of his other arm. Skin had been cut from his back, court documents stated. Vasquez confessed to the murder after his arrest and was indicted on capital murder charges for the boy’s death and the theft of his jewelry. He was convicted and sentenced to death in March 1999 in Hidalgo County, just over 17 years ago. Chapa was also convicted but received a 35-year-sentence because he was a minor. He first became eligible for parole last year but was denied in December. 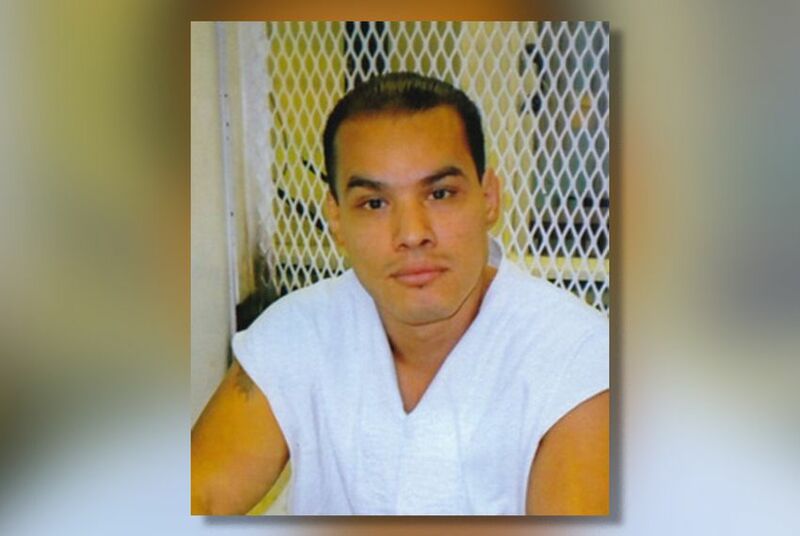 His next shot at parole is in 2020, according to the Texas Department of Criminal Justice. It was the sixth execution of the year in Texas and the 11th in the United States, according to the Death Penalty Information Center.